Do you believe people are either good or evil? Humanity seems to have been fixated in the perception of good and evil since time immemorial. Most organized religions have reinforced this polarizing view as well, in an attempt to guide or control the masses with their dogmatic (and sometimes terrifying) versions of the truth. But if you perceive Creation as a play of Divine Consciousness, like I do, where there’s nothing but Consciousness in a myriad forms, this extrapolation no longer makes sense. It would be like saying only daytime is positive and nighttime is bad. Like the Feminine and Masculine principles, Light and Dark are eternal aspects of this play. You may think that things are really dark and negative now, as if an evil force has taken over the planet, but things were just as difficult 100, 1000, or 5000 years ago; the only real difference is that modern technology can control and destroy things, including the human mind, more quickly and efficiently. But the battle between so-called good and so-called evil remains throughout history, because it’s a reflection of the continuous tug-of-war between the soul and the ego-mind. In other words, the only true evil is your own ego, which feeds and becomes collective ego, for it cuts and separates and disconnects you from Consciousness. Night happens when our view of the Sun is blocked; similarly, anything that disconnects from Consciousness brings darkness and pain. Our shadow is the disconnection from ourselves that can take the shape of any negative emotion or motivation. Anger, lust, greed, hatred, selfishness, and cruelty, as well as fear, guilt, judgment, depression, and addiction are all modifications of ego. They’re our own darkness—our evil side, if you will, even if just in potentiality—distracting or deviating us from the joy and fulfillment of Consciousness. In this sense, what makes someone truly ‘good’ is not the appearance or self-images they project, as many politicians, fraudsters, and con artists have proven time and again. It’s not the self-sacrificing tendencies of martyrs either, as these can be pushed by hidden egoic motivations, too. The difference lies in the inherent qualities that color our choices, mainly kindness and empathy, which are two complementary, feminine aspects of Consciousness. Kindness comes from love, which is the Divine, and empathy emerges from the subconscious knowledge that everything and everyone is one and the same Consciousness. These are not virtues you can consciously learn or fake; they develop as you remove the distortions of ego that judge and separate, because they’re inherent aspects of your soul. Kindness is the inner drive to be of service with no ulterior motive (so not to be ‘good,’ ‘spiritual,’ useful, or appreciated, which come from egoic needs) and empathy is the essential quality of the soul: the recognition that you and I are the same and your suffering is my suffering. 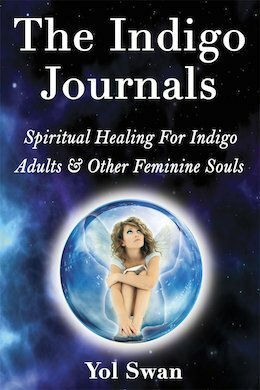 All soul types can be found somewhere along the Feminine-Masculine Soul Spectrum (as described in The Indigo Journals), but feminine souls tend to be more empathic (as in sensitive and receptive) and empathetic than masculine souls. Remember, these are spiritual qualities that have nothing to do with gender, as any soul type incarnates in both female and male bodies. Now, you could divide the world between empathic and non-empathic souls, but it’s not as clear-cut as it sounds. Because the Feminine-Masculine spectrum is not just to define soul types; it’s also a gradation within each individual soul that results from previous experiences and imprints. Even if we are each wired with certain tendencies, we are one and the same Consciousness, which is the perfect balance of Feminine and Masculine, and we’re always capable of developing different qualities and tendencies throughout our journey. In fact, this is what we’re meant to do, to explore and then transcend this plane. As we suffer and struggle with all the challenges of our human condition, we learn to discern what connects or disconnects us from ourselves (and others) and make choices leading to a greater sense of Oneness. Kindness and empathy pave your path to this Oneness, which is the essence of Consciousness, thus the spiritual freedom your soul yearns for. 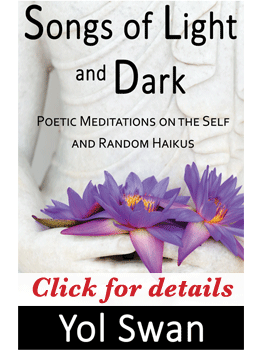 Rather than cutting, separating, and disconnecting, which is what the ego-mind does, these qualities allow you to dissolve the distinction between good and evil, light and dark, or positive and negative in yourself and others, to see them as contrasting variations of the disconnection from Consciousness we’re all trying to heal in ourselves. You can try to be good to satisfy an egoic need, prove something, or because you feel obligated in some way, but none of these reasons come from love, or your true nature. And yet, as you become more self-aware you experience love in the way you do things—not why or what for—from a centered place, clear of attachments or expectations. Maintaining the contrasts of your experience, rather than integrating them as you dissolve ego, just reinforces old wounded patterns, disconnecting you from the real you and the inner peace you call happiness. The so-called evil person is simply more trapped in ego and may hold a deeper wounding than you (see The Battle Between Love and Ego), therefore causing more suffering, but like all souls, they’re on a similar journey, no matter how lost they appear to be. The real issue here is whether you choose to further disconnect from Consciousness and love with judgments and extrapolations, or focusing on what’s wrong in you or others, or you remain committed to your emotional and spiritual freedom by removing what blocks your essential nature. So contact me today to stop letting your ego-mind rob your of the peace and happiness you seek, and discover your full potential to live a life with greater meaning and purpose! ← Do You Often Doubt Yourself Or Lose Your Enthusiasm?